I’m not sure where you are, but in Vienna, it’s been quite hot. 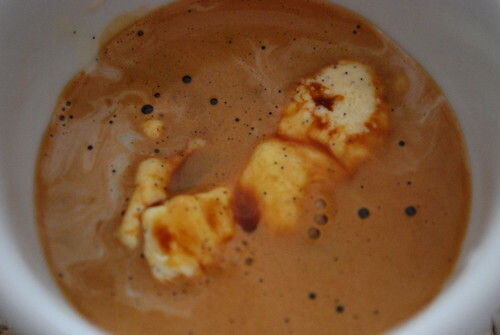 Not one for compromising on my afternoon fix of a double espresso, when I’m at home, I thought I’d re-visit another one of my favourite coffee recipes, Espresso Affogato in full, but for those who know, just Affogato. It’s quite popular in Italy, especially in the summer. 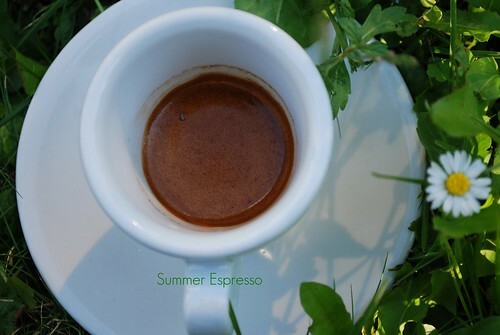 In short, it’s ice cream and espresso together….simple, isn’t it. 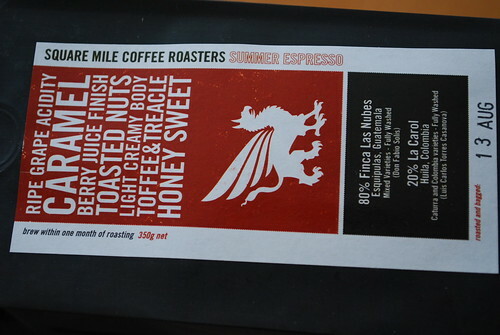 First up, get a cup that’s wide enough to handle a double espresso shot. 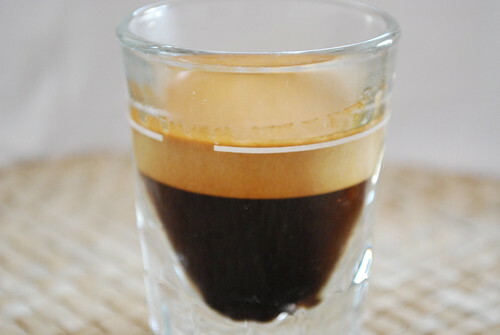 Wide is important here, because with both ice cream and espresso in one cup, you don’t want the mixture spilling out at the top, as would happen if you used a normal espresso cup. 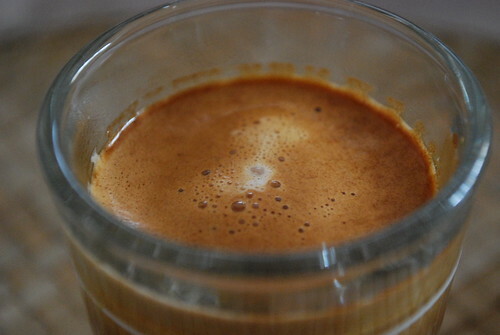 Second, prepare your espresso and extract it preferably into a milk jug. 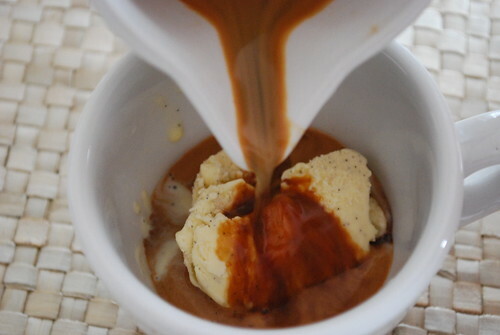 Third, scoop one portion of vanilla ice cream into the cup and you are ready to complete your affogato. 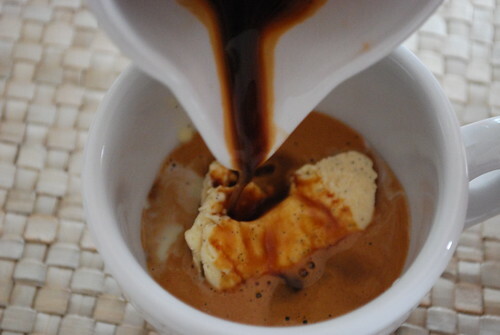 Simply pour the double espresso on top of the ice cream scoop in the cup and there you have it, Espresso Affogato. You won’t have much time to enjoy this, especially if you have used freshly homemade ice cream, like me (recipe here), and it is really hot outside, which it was, when I made this, as the hot espresso will begin to melt away the ice cream, almost creating an espresso style float, whereby the float is warm ice cream rising to the top of the double espresso, creating a vanilla ice cream crema…. hmmmm ! 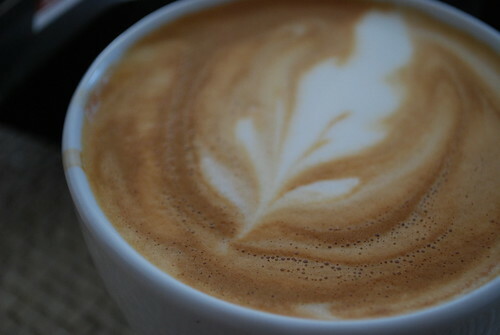 One tip; to make this experience longer, adapt the pre-warmed cup technique for making espresso, for this cold/warm drink, but of course this time, you will pre-freeze the cup. 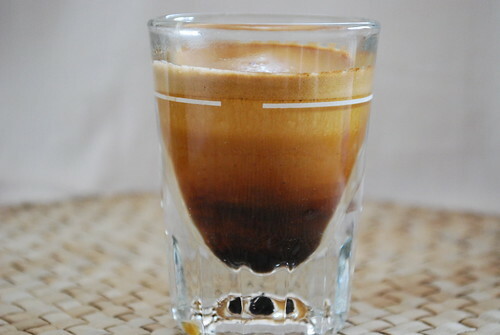 So, place the cup you intend to use into the freezer or fridge for at least 30 minutes before you make the affogato, so that you don’t suffer what I went through. 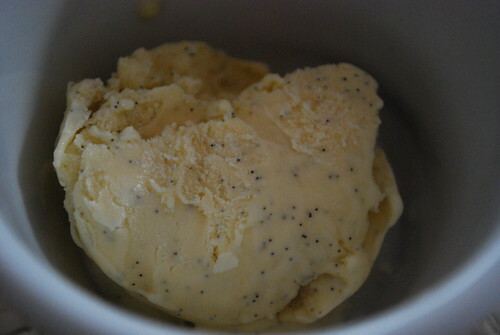 If you really want to be trendy with this, you can also serve it as a dessert on a warm evening in trendy cups with teaspoons to scoop the ice cream out, which some restaurants now do during the summer months, so share this experience as much as you can during the late summer months.